Shirley Leyro is an Assistant Professor of Criminal Justice at Borough of Manhattan Community College – CUNY. A critical criminologist and scholar activist, Dr. Leyro’s research focuses on deportation effects – including the impact that the fear resulting from the vulnerability to deportation has on noncitizen immigrants.Her research interests include immigration, deportation, legal violence, social disorganization, and crimmigration. She is co-editor of Outside Justice: Immigration and the Criminalizing Impact of Changing Policy and Practice as well as a contributor to the same volume. She is on the Board of the non-profit organizations, Latinas On the Verge of Excellent (L.O.V.E.) 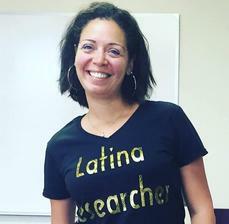 and Revolutionary Fitness, and a member of the Leadership Team for the Latina Researchers Network. Dr Leyro also has a blog: The Accidental Académica: A Blog About This Latina’s Struggles As I Navigate the Halls of the Ivory Tower.​ Born and raised in the Bronx, NY, s​he currently lives in Harlem U.S.A. with her pets. Amber is a proud Nuyorican, originally from the now gentrified area of Loisaida. She is a senior at Hunter College, with a major in Sociology and minor in Human Rights. 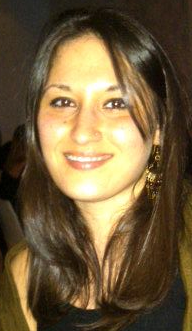 She comes from a background in the non-profit sector with a focus on community organizing, advocacy and education.